Plot: After burning her very last bridge in Hollywood, Maizie returns home as a woman on a mission – to get work with a private investigator and start on a new career path. (And appease the judge who ordered her to find a paid position in 10 days, of course.) But the investigator in question – Wyatt Nash – is less than willing to take on a green employee, especially one whose past doesn’t seem ready to let her go. As Maizie tries to jump start her new career, her manager mother sets up a reality television show crew in Black Pine, all in a full court press attempt to strong arm Maizie back into the business. Determined to leave her show business past in the past, Maizie forces her way into one of Nash’s cases – a simple surveillance of a woman whose husband suspects her of having an affair – and ends up tumbling head over heels into a huge hornet’s nest of trouble. Predictability: Low. I was super surprised by the twists and turns that led to the unveiling of the killer! Didn’t see it coming at all. Wild Card: 15 Minutes is a raucous and addicting read. Maizie is delightfully quirky and flighty – but also witty and sharp; I couldn’t help but love her and root for her. There is a wonderful, crackling chemistry between her and Nash, who is every opposite to Maizie in all the best ways. Where Maizie is sweet and sincere, Nash is cranky and cantankerous; they make an outstanding pair! I truly enjoyed this debut mystery and I’m eager for Maizie’s next adventures! Hit, Miss, or Draw? A grand slam hit! Tour Giveaway: Enter to win a $20 Amazon gift card! By entangling herself in a missing person’s case, she must reprise her most famous role. The job will demand a performance of a lifetime. But this time, the stakes are real and may prove deadly. 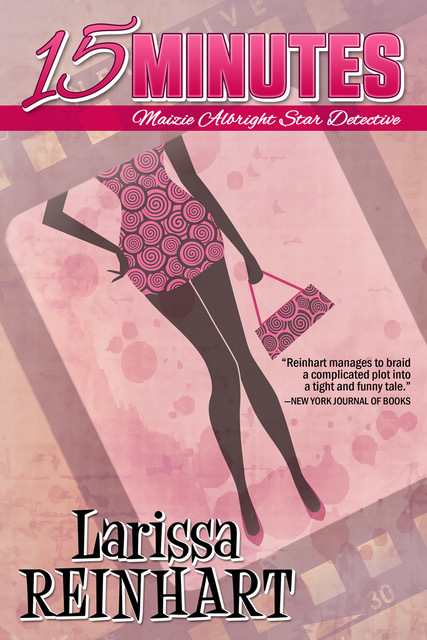 “Larissa Reinhart’s newest heroine, Maizie Albright, is at once naïve and worldly. As a former child star, she craves life in the real world by becoming a PI, just like the TV character that made her famous. Armed with humor, charm, and stubborn determination, Maizie is a breath of fresh air. I adored every second of 15 Minutes. Viva la Maizie!” — Terri L. Austin, bestselling author of the ROSE STRICKLAND MYSTERIES and the NULL FOR HIRE series. Mystery and Maizie Albright Star Detective series. 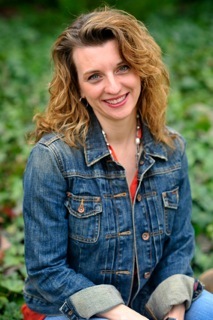 The first in the Cherry Tucker series, Portrait of a Dead Guy, is a 2012 Daphne du Maurier finalist, 2012 The Emily finalist, and 2011 Dixie Kane Memorial winner. She loves books, food, and travel in any and all combinations. Her family and Cairn Terrier, Biscuit, live in Nagoya, Japan, but they still call Georgia home. You can see them on HGTV’s House Hunters International “Living for the Weekend in Nagoya” episode. Visit her website, find her chatting on Facebook, Instagram, and Goodreads, and sign up for her newsletter at http://smarturl.it/larissanewsletter. If you enjoy her books, please leave a review. She sends you virtual hugs and undying gratitude for your support! Reblogged this on Larissa Reinhart.